The Global Regulatory Atlas developed by NCSBN provides a single resource for nurses, regulators, educators and researchers to compare the regulation of nurses in countries around the world. In an increasingly connected world, nursing care, more and more often, transcends the boundaries of countries and continents. NCSBN's Global Regulatory Atlas is the first comprehensive resource on the regulation of nurses in countries around the world. This tool allows regulators and educators to easily compare regulations in their own jurisdictions with those of their neighbors; researchers can access data from around the world; and nurses considering immigration can view the policies of the countries to which they might migrate. Free to use and built with the assistance of health care regulators worldwide, the Global Regulatory Atlas puts the world’s nurses at your fingertips. View information on the way nurses are governed in each jurisdiction. This includes the laws and regulations related to nursing, as well as information about the body that has authority to regulate nurses and its composition and powers. View information on the nursing licensure and legislation in each jurisdiction, including how nurses are trained or educated and what steps must be taken to obtain authorization to practice. View information on the approval and accreditation of nursing education programs in each jurisdiction. View information on how each jurisdiction keeps track of nurses practicing within its borders, as well as how nurses can be disciplined when conduct or competency issues arise, and whether any such records are available to the public. View information on the telehealth practices of nurses in each jurisdiction, as well as regulations governing telehealth. 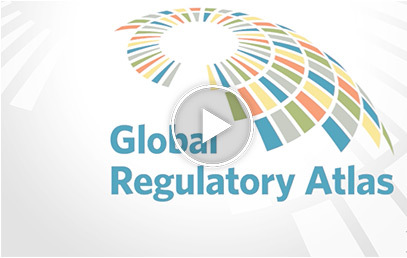 View the research focus of the regulatory body in each jurisdiction. A look at nursing regulation from a global perspective. Access nursing regulation data from an individual jurisdiction or compare data from multiple jurisdictions. Note: Metrics displayed represents data only from jurisdictions who have contributed to the Global Regulatory Atlas database.